Finding great family vacation spots can always be a bit tricky. You search and search online, read review after review and try to make a decision based upon what other families enjoy. Instead of spending hours of research looking for the perfect family getaway, treat you and your family to a one-of-a-kind vacation with Wilderness at the Smokies in Sevierville, Tennessee! It’s family-friendly fun where memories are made! To celebrate their 10th Anniversary, the Wilderness at the Smokies is hosting a Summer Sweepstakes for families to have a chance to win one of their multiple awesome prizes! This is a sponsored post; while the views expressed here were genuinely mine, consideration was paid to me by Wilderness at the Smokies to review this resort. With so many different activities and things to do at this resort, you and your family will be making memories every moment of the day! Why not start a new family tradition to make it your family “go-to” place year after year? 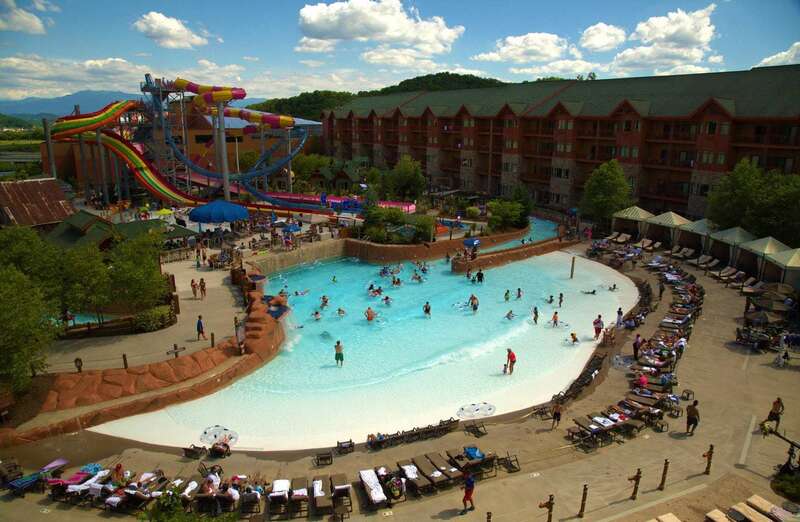 The Wilderness at the Smokies features indoor and outdoor waterparks, a Family Entertainment Center, multiple food and beverage venues, restaurants, and snack shops. With everything that they have to offer, your family may never have to step foot outside of the resort! They offer three different lodging accommodations with 713 rooms, suites, and villas: River Lodge, Stone Hill Lodge and Sanctuary Villas. They have single rooms to multi-room suites that sleep up to 16 guests! No matter how many people are traveling in your party, your family will be comfortable. Wilderness at the Smokies offers family-friendly activities for everyone in your party. 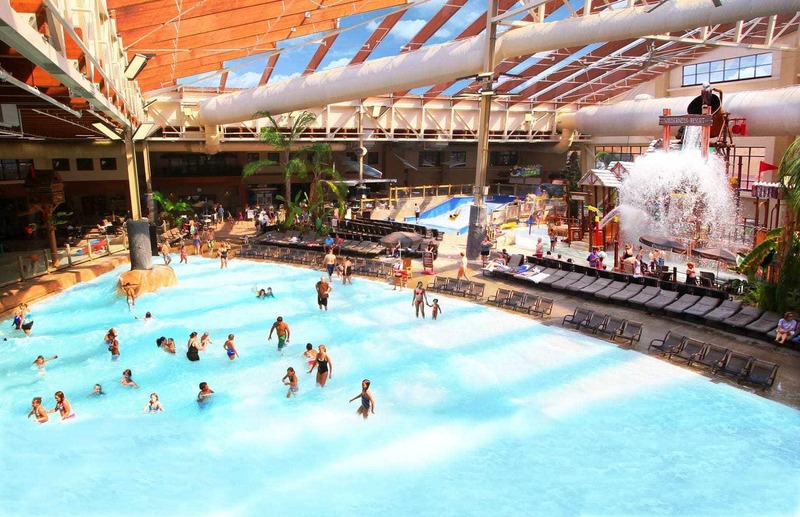 You and your guests will have year-round access to Smoky Mountain’s Biggest Indoor Waterpark (Wild WaterDome) and Family Entertainment Center (Adventure Forest). 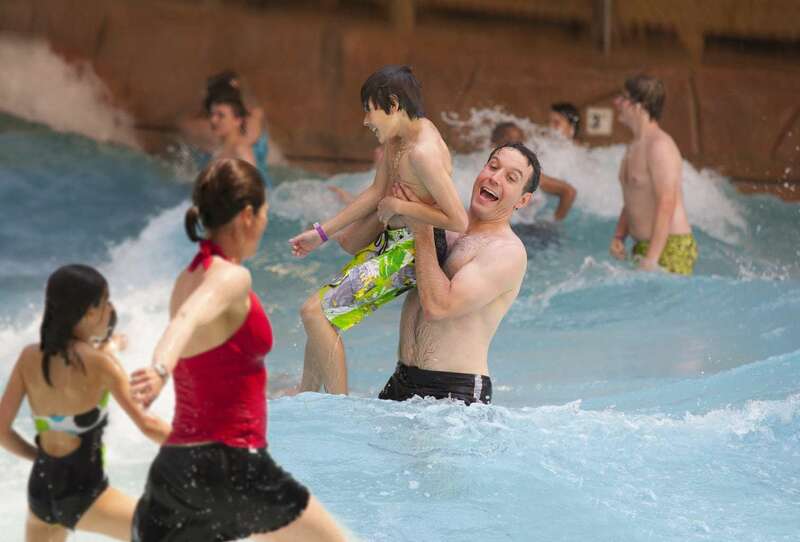 Who doesn’t want to spend an amazing vacation out of the heat and in the water at Tennessee’s largest waterpark resort? With their amazing see-through roof, it’s possible to stay inside splashing the day away while still enjoying those beautiful summer sun rays! You and your family will have access to 3 waterparks included with your stay (Salamander Springs, Wild WaterDome, and Lake Wilderness)! Two of the waterparks are outdoor, and their indoor water park is kept at a comfortable 84 degrees year round. There is literally some sort of water fun waiting for every member of your family! If you are looking for a chance for a few water-free activities during your stay, you’ll want to head over to the 25,000 square foot Adventure Forest to see how brave and daring you truly are. Can you handle the rope course and conquer the obstacles? Or how about challenging your family to a fun game of laser tag? Whatever adventure you feel like, you’ll find it at Adventure Forest. Don’t forget about the 36-hole golf course as well! Not only does the Wilderness at the Smokies offer a great family value, but booking online and reserving your stay can save you even more money! They offer specials Military discounts, savings for Sunday Funday, and are currently promoting 25% off for their summer anniversary special celebrating their 10th year! It’s never been easier to get a great deal at an incredible value at this family-friendly resort! Make certain to check in with the Wilderness at the Smokies Special and Package Deals online frequently as they are always updating and adding different saving options! The resort does a great job at making it affordable to make amazing memories! With so many different activities and options at Wilderness at the Smokies, here are a few tips to help you arrive and transition quickly to some family-fun right away! When booking, ask for a room closest to the waterparks! The closer, the sooner the fun can start! Even after you check-out, you can still use the waterparks all day long! If you decide that you want to do a bit of exploring other great attractions in the area, you aren’t far from anything at all! All you have to do is hop in your car, explore for the day, and you’re mere moments from being back at the resort. It’s the perfect central location to be able to explore without having to spend a ton of time in the car. If you are wanting to take a trip to the Wilderness at the Smokies, enter the Wilderness at the Smokies 10th Anniversary Sweepstakes – with over $10,000 in prizes! There are 14 weeks of prizes that they are giving away, and you may be a winner! Here are some of the amazing prizes that you could potentially win! Don’t delay – Sweepstakes ends 9/2! This is a sponsored post; while the views expressed here were genuinely mine, consideration was paid to me by Wilderness at the Smokies to review this resort.